Make this Amritsari Kulcha | Stuffed Kulcha | How to make amritsari kulcha at home. If you like punjabi food fan then here’s the recipe for you. 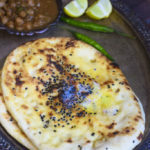 Amritsari kulcha or stuffed indian bread. Some popular fillings are potato, onion, paneer / cottage cheese ,keema, matar /peas, plain chili, dal/lentil filling and may more. Paranthas are made with whole-wheat dough unlike the kulchas. You may just make the dough with this recipe.Choose the fillings like in Chana Dal , Soya filling , Broccoli or onion. A popular indian breakfast liked by all. 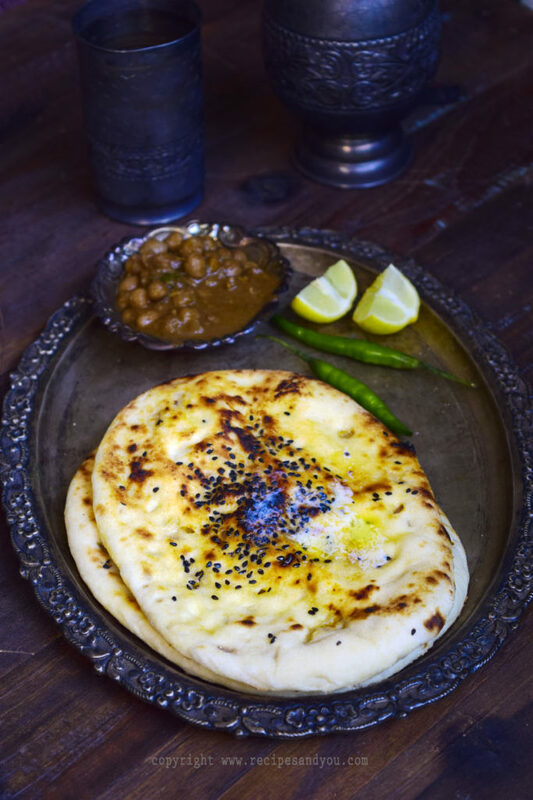 This recipe has fond memories when i first had stuffed kulcha at the best joint in amritsar. 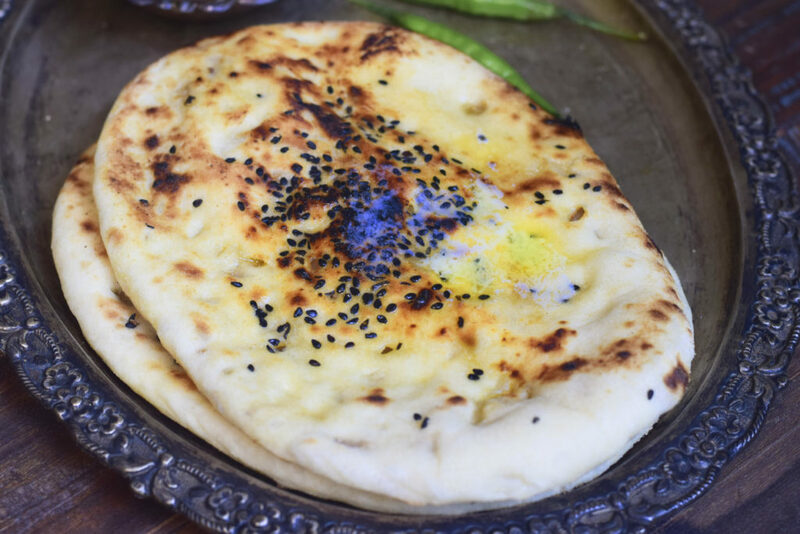 Knead the dough with curd to have the softest kutcha.Make these on the tawa or griddle at home.You may smoke them with coal covered for a few minutes for that rustic flavor. Served best with Rajma Masala ,Chana Masala or Makhani Dal . Few other stuffed indian breads you may like: a Italian parantha, Soya Parantha, Doli Ki roti, Whole-wheat Broccoli parantha. How to prepare the dough: Firstly, in a deep bowl. Add all the ingredients of the dough. Mix well. Now, add water little at a time, and knead a smooth soft dough. Make a soft but not sticky dough. Keep it aside for 15 minutes on a warm place in the kitchen. For the Filling: Finely chop the onions and add all the spices except the salt. Add the salt only when just about to prepare the kulchas as onions leave water which may break the kucha while rolling. Take a dough ball and roll it a bit with the rolling pin. Now add the stuffing and close the ball by getting all the sides to the centre. Press to seal and them put it on the shelf. Press it lightly with your palm and then add the black til seeds and dhania leaves.Press a bit to stick the seeds on to the ball. Turn the ball around and sprinkle some dry flour and start rolling.Make a flat bread with a thickness of .5 cm approx. Do not turn while rolling as we need to have the til seeds side on the bottom. Now , apply some water on the side facing you. Pick the kulcha and place it on the hot griddle or tawa ( water applied side on to the bottom.). Cook for a few minutes on medium heat. 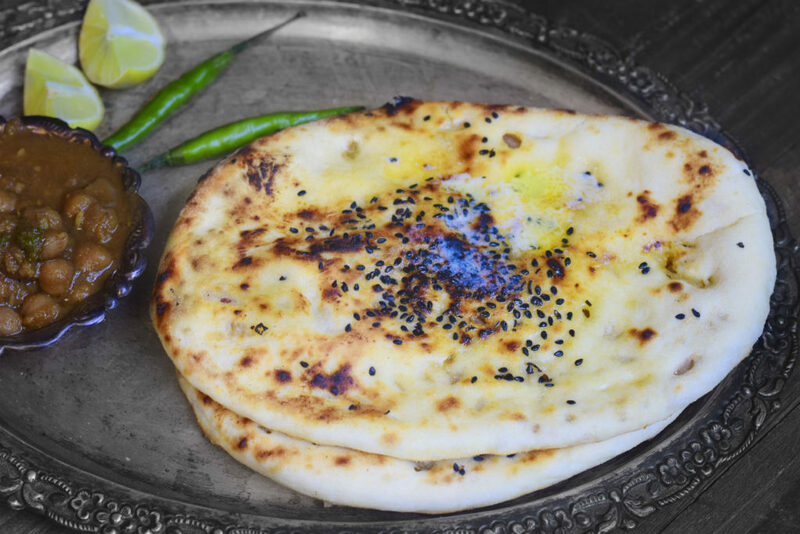 Now, hold the tawa and turn upside down , with the kulcha facing the flame directly. Keep cooking by moving the tawa and looking the kulcha closely. Cook evenly . Turn the tawa around again. Pour some desi ghee on top. Release the kulcha from the tawa with the help of a knife. These look lovely. I bet they are especially good when nice and warm. I would definitely eat these with a warm bowl of soup or a curry. Im really into making new (to me) Indian recipes at home since the new Indian market opened up in our neighborhood….. This is going on the list to shop for so I can give it a try…. it sounds simply delicious! Hey Michele. Thanks. Am happy you liked . Do try. Its really good. I’ve never tried this before, but it sounds delicious! I can think of so many dishes that this would go well with. Thanks Allison. Yes it goes almost with all currys. I never heard of this dish. But it sounds so exotic and so flavorful. Looks delicious too. I would love to give this a try one day. I LOVE kulcha and have been trying to learn how to make the for a while. Thank you for the great recipe. The onion filling sounds delicious! This is the first time I hear about this dish but I’m so curious to give it a try! Looks super tasty! The hubs is a meat and bread kind of guy and now that’s it’s the fall season, I’m slowly introducing them into our meals again. We love to make rosemary chicken and this dish sounds perfect as a side or appetizer to share with the family. These look amazing, great shots! There is nothing better in this world than homemade breads – just that smell filling the house, yum! These looks totally perfect. My mouth is watering. The filling sounds utterly delicious. This looks delicious and your photos are gorgeous!! I’ve never tried this recipe before, but I’m looking forward to making it. Thank you! These look amazing! Super easy and the best kind of comfort food. Love the easy list of ingredients and what a perfect recipe to always have on hand… and you can stuff these with just about anything! Yes Heather. Indeed you may. This looks delicious and your photos are gorgeous! I’ve never tired this recipe before but I’m looking forward to making it. Thank you! Hey Thanks Michele. Am glad you liked. Wow these look amazing! I bet they would soo good paired with a creamy curry. Yum! Thanks Sam. Am glad you liked. Yeah this goes well with most currys.